Step 1 - Heat oven to 350ºF. Bake 24 cookies according to package directions. 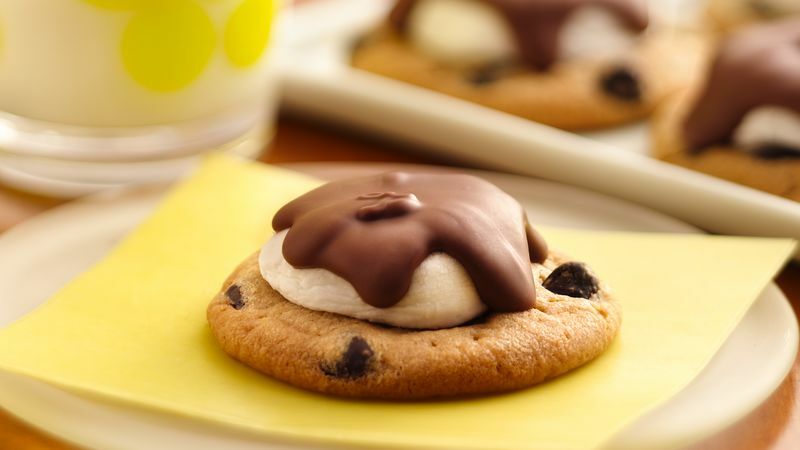 Step 2 - Immediately place a marshmallow half on top of each cookie and bake 2 to 3 minutes longer until marshmallows puff. Step 3 - Spoon melted chocolate chips over marshmallow and allow to cool.